I love Gossip Girl. That being said, I was a faithful follower of what the girls would wear. My favorite things in my closet have always been my headbands, and I wear them the way Blair Waldorf would. Morning routine sometimes would be a ‘What would Blair Waldorf wear?’ moment. That was, of course, a thing until I left college for workforce. At work, I was forced to dress like everyone else. I had to look professional, button up shirts and pencil skirts, and if possible, no distracting accessory. My Blair Waldorf bible trained me well. I went by everyday without anyone ever complaining about my outfits. Then the days turned to weeks, weeks turned to months, and I grew sick of dressing up the way I had to. Obviously, this stage pushed me to the edge. I had a panic attack one night and flipped my closet into a shipwreck. The day after, I went to the nearest mall and started browsing. I wanted something that was far away from the prison I lived in. I wanted colors, bright colors, to wash out the black and white I was trapped in. And at that moment, I decided to say goodbye to Blair Waldorf and hello to Vanessa Abrams. It was an adieu to society’s standards and salut to freedom of expression. Vanessa was bold. 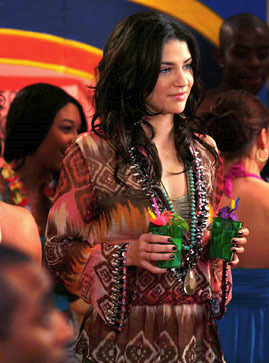 She would have bangles, long necklaces, and the coolest earrings along with her outfits. And patterns, I see patterns everywhere and I love them. No rules whatsoever. Her outfits reflect her personality. And in the world where we have to follow certain standards to blend in and feel accepted, we go crazy sometimes. 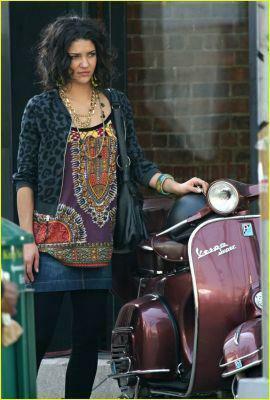 Everyone wants to feel free, and when I watch Gossip Girl, Vanessa is freedom. She doesn’t have a fashion bible that dictates the regulations of wearing what with what. She simply dresses the way she wants to. Blair might call it ugly, but I call it freedom. And here’s a stake to the fashion bible I had held up so high: Dressing up according to ‘what looks right’ and ‘what is appropriate’ will save you on day to day basis. However, it will cage you, and at some point, you will fight for your freedom to ‘dress ugly’ like Vanessa.